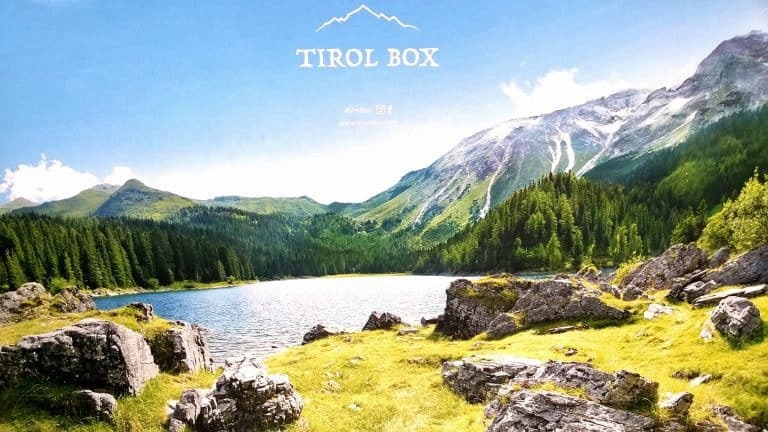 Tirol box is one of the most expensive boxes I have ever seen and before I received it, I wondered if it would be worth its “from 122 Euro” price tag and I can tell you I would pay more for it. And this box isn’t just about the products, it’s also about the values the company holds and the passion they have for their boxes. 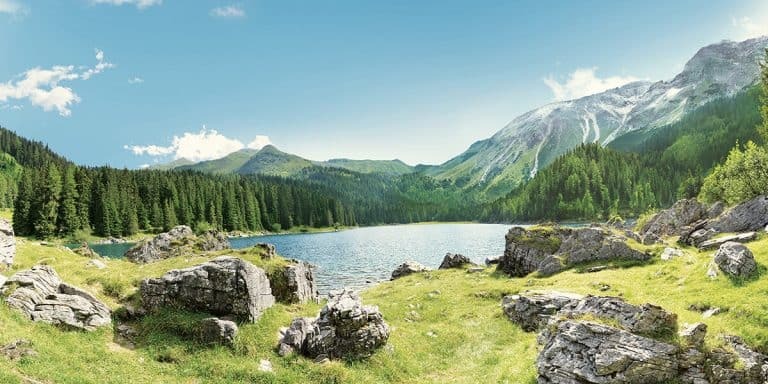 Tirol is a historical region of the eastern Alps in western Austria, and each product in the Tirol box is made or designed in Tirol with some products being handmade. This chocolate has lasted me over the week. It’s not a chocolate that you just sit there and wolf down; eating this chocolate is an event in itself. Once you have eaten Tirol chocolate, made from the milk of Tyrol grey cattle, other chocolate will never taste the same again. In the November box, I received two full sized bars (there are no mini or sample sizes in this box): one with blueberries and one with nougat. I couldn’t pick my favourite between the two although I am thinking about planning a holiday to Austria to sample all the flavours. Everything about this box says ” feel cosy at home ” including these bath salts which are enriched with Swiss pine. Bathing is a event for me: wine is drunk, candles are lit and my wages are spent in bath products, but never before have I had bath salts like this though. A little goes a long way and there is a very familiar scent to it: I can smell a citrus undertone. The coarse salt leaves you with baby soft skin. 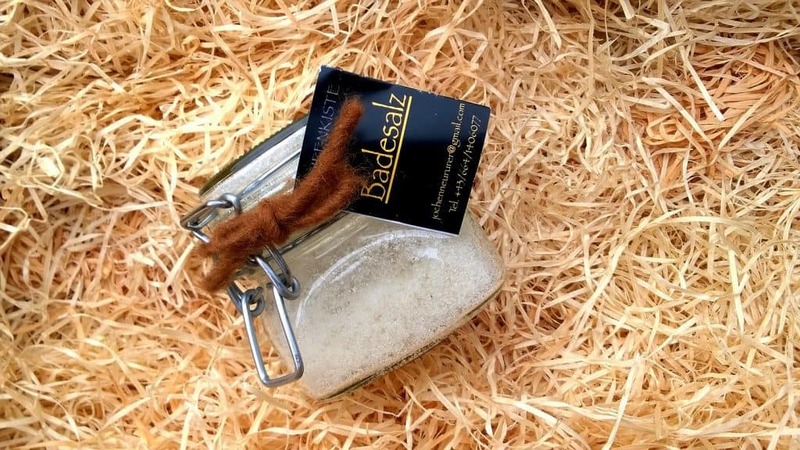 I have eczema and this salt has eased the itchy feeling which is incredible. This platter is a beautiful piece for home decoration. I had friends over for wine and cheese at the weekend: I served the cheese on this stunning piece and it become a talking piece. 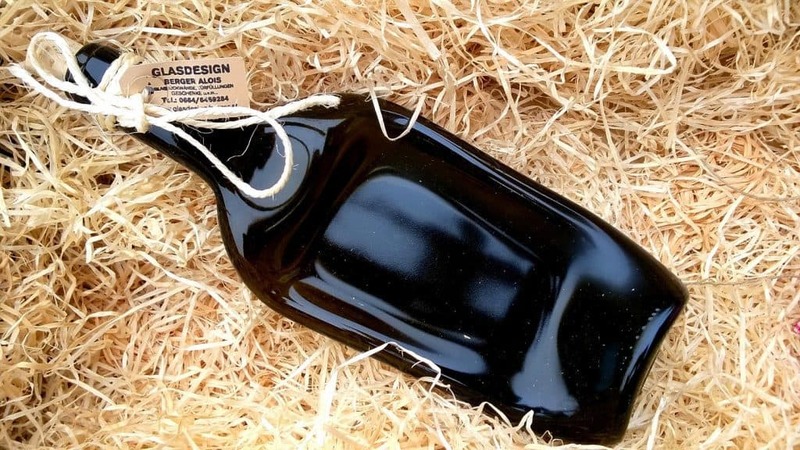 Yes, you can get cheap versions of this but certainly not as stunning as this, I searched and couldn’t find a imperfection in it, just the feel of it lets you know it’s made from good quality glass. 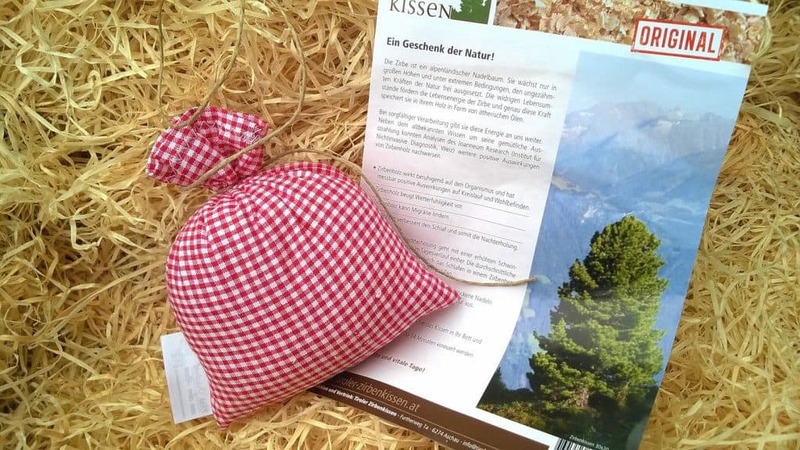 This Swiss pine wood cushion is made to bring a scent of freshness to your clothes, however mine hasn’t made it to my wardrobe. My Swiss pine wood cushion is under my pillow on my bed, slightly odd but smelling it takes me back every single time to my childhood Christmases and that just makes my heart smile. I want a mini one now for my handbag. I spend five minutes smelling it before I drift off to sleep, I will be absolutely devastated when the scent fades. When I read the words blackberry gingerbread jam, my brain couldn’t put the two flavours together, but I love blackberries and gingerbread so why wouldn’t I love the two together. So I made some homemade croissants ( also a first ) and enjoyed a very special breakfast whilst reading the paper. And it was delicious, I have now hidden the jar so my partner doesn’t find it because I want it to last as long as possible. 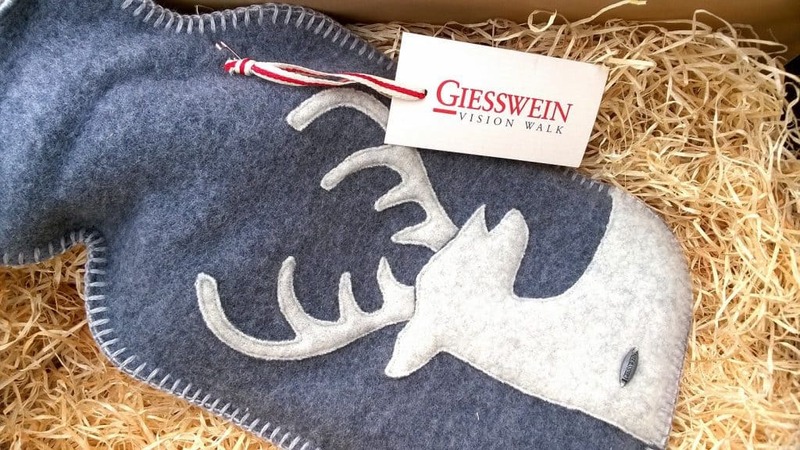 Do you know what it feels like to curl up to a hot water bottle made from a 100% virgin sheep wool? I can tell you, it is like being curled up to a fluffy cloud. This was my favourite product in the box, I have used it every single day while being curled up in my arm chair reading. I hope it’s a long cold winter because I’m now all prepared. 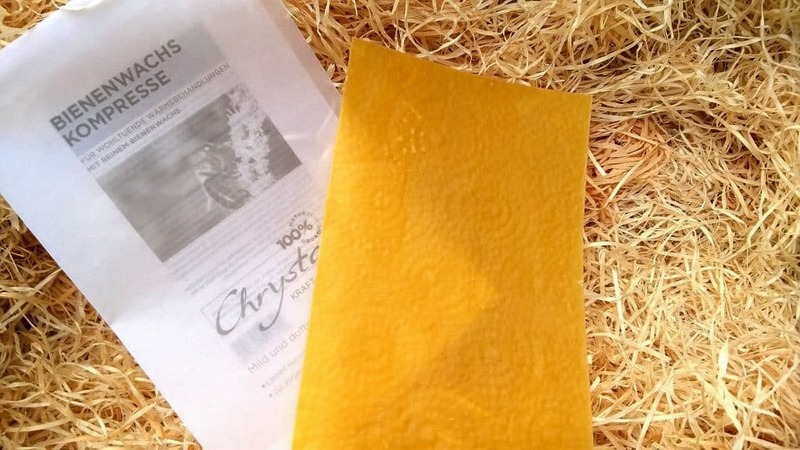 I absolutely love beeswax, it has so many uses, from candles, cooking to health, I will be using this for health as it is 100% organic. 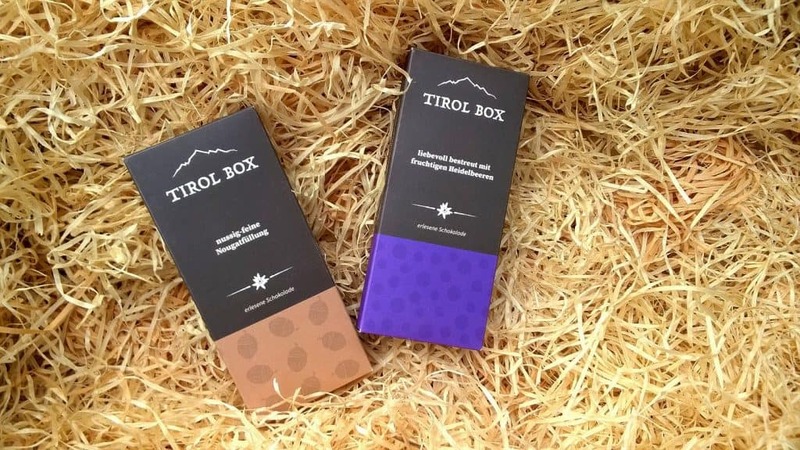 I would do almost anything to be able to receive December’s Tirol box. 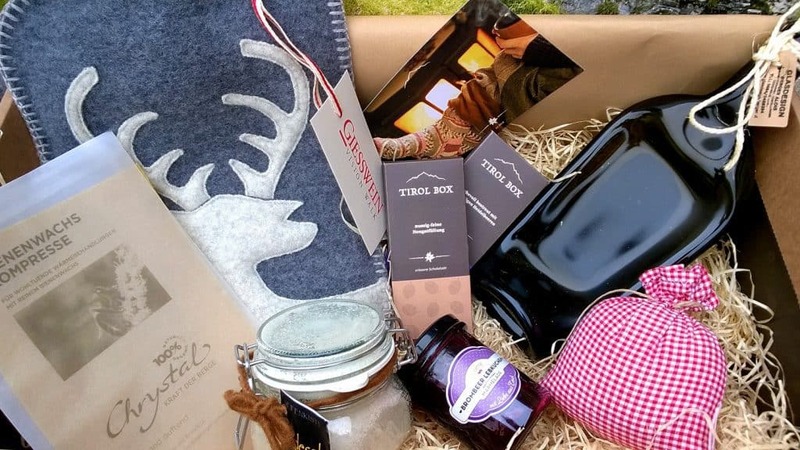 Unlike most subscription boxes Tirol box gives you the themes for the next eleven months and December’s theme is sparkling Christmas. Honestly, if I received this box with a Christmas theme, I would be in absolute heaven. And if the words sparkling Christmas had your attention, then I need to add the word Swarovski because a sparkling Christmas would not be complete without a bit of Swarovski. These boxes are extremely limited, like all good things, because of the nature of the products and some of them being handmade. 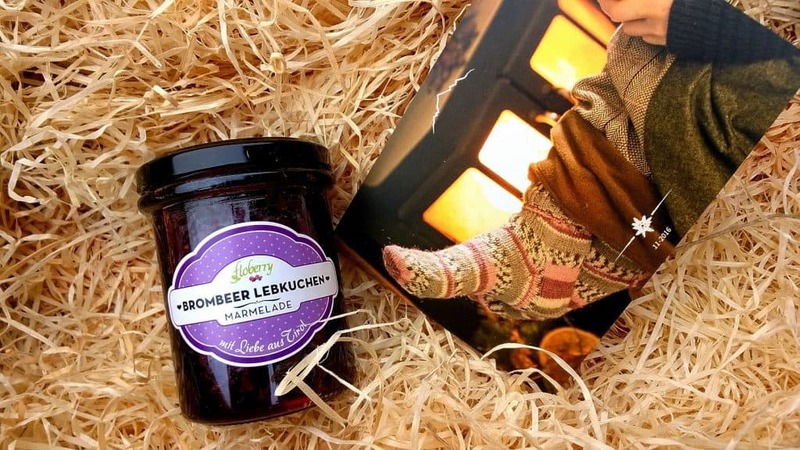 The cut off date for the December box is the 20th of November, so don’t waste any more time: go and order it now and add some luxury to your life. 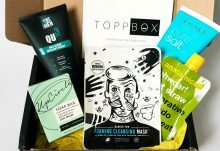 The most luxurious subscription box I have ever had! And my absolute favourite, my life my never be the same again. This box is perfect for anyone who wants to add some luxury to their lives or just wants beautifully made products.